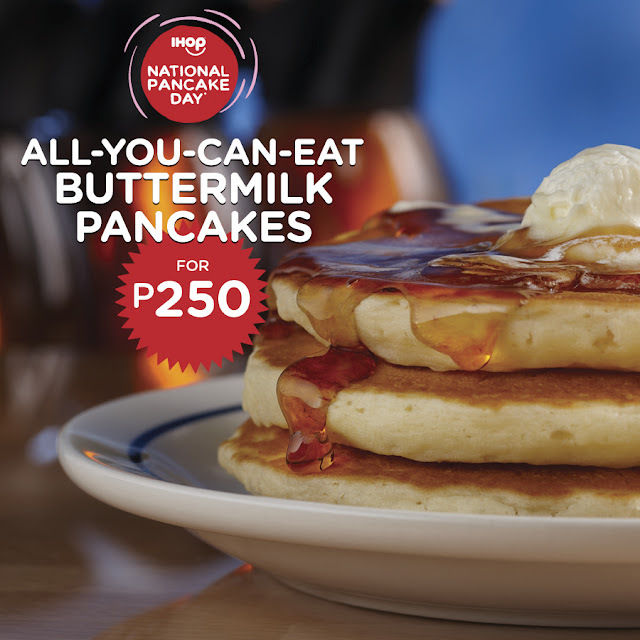 From 7AM to 10PM on Tuesday, March 8th, all 6 IHOP locations will be offering guests the opportunity to enjoy unlimited servings of their world famous buttermilk pancakes for only P250, to enjoy in the restaurant. P200 out of the P250 The price generated from those pancakes will once again be donated to the Kythe Foundation, which provides children with cancer and chronic illnesses the chance to learn, play, and grow while in treatment, even if they’re in the hospital. National Pancake Day began in the United States in 1995 and in the past decade has raised $20 million dollars for children’s health charities in the local communities Last year, for the first time ever, IHOP Philippines joined the celebration, raising P400,000 money for Kythe Foundation.